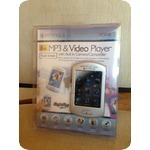 I have a new 8GB Touch screen MP3 and video player. It has a 2.8" touch screen TFT display, 8GB internet memory, crisp 320 x 240 pixel resolution, 0.3 megapixel digital camera/camcorder, high quality audio and video playback, micro sd slot, clock, calender, stopwatch, built in fm radio, photo viewer, built in speaker, and recorder with built in microphone. It includes headphones and USB cable and a 1 YEAR WARRANTY. 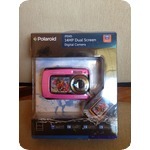 I have a new Polaroid iF045 14MP Dual Screen Digital Camera. It is pink and has 14 megapixels, 5x digital zoom, 2.7" rear LCD display, 1.8" front LCD display, micro SD card slot, and waterproof up to 10 feet. the package includes USB cable, 1 year warranty, and a wrist strap. 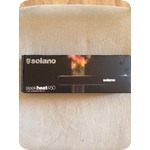 I have a 200$ Solano sleekheat450 hair straightener. This is a very nice very good straightener. It is 1", glides smoothly through hair, heats close to 450 degrees, heats in 60 secs, instant recovery time, ceramic beveled plates, far infared heat, ionic, tourmaline, and has cool touch tips. 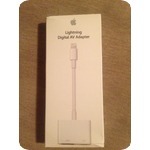 I have a lightning digital av adapter. This has an HDMI outlet, a lighting adapter female and male end. This is a great product! 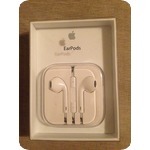 I have some EarPod headphones. These are very good headphones made by Apple. 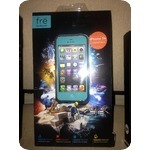 i have a blue Lifeproof iphone 5 case. This is an awesome case (i use one :) ) to protect your phone from lifes cell phone blunders (especially if you have a child or children who play with or use your phone). The case is water proof, dirt proof, snow proof, and shock proof. It will protect your phone from anything and everything. No other case can compare! 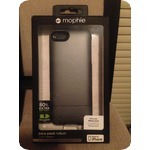 I have a new never opened or used grey iphone 5 mophie case. These cases are a convenient, useful, and all around great accessory to have! 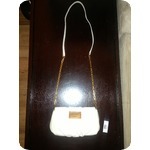 I have a beautiful eligant White Classic Q Karlie Crossbody Marc by Marc Jacobs purse. It is new with tags and original packaging. It is soft luxe leather. 9" x 5" x 2" strap drop 23" 100% cow leather made in indonesia. The gold metal chain strap makes this a standout style.